This category allows students to explore either particular sub-Saharan societal challenges or the dynamics of constructing educational answers to those challenges across the African continent. In this category, students consider agricultural challenges and opportunities given particular sociocultural, economic, geographical, or environmental conditions in sub-Saharan Africa. This category includes posts by students researching some of the ways global demand for African products or natural resources is impacting the people and/or environment of Africa. This category presents information about health-related issues as experienced by various communities living in sub-Saharan Africa. For many years, South Africa has continued to demonstrate difficulties in education. One direct result of this is the number of students who dropout of school. According to Holborn (2013)2, 56% of students drop out before getting the first level high school senior certificate . Students blame the poor teaching quality from every level of schooling. Is this even possible? Could every teacher in the school system lack the ability to supply quality education? The South African government has spent as much as “20 percent of its budget on education, or 6.4 percent of gross domestic product (GDP) (considerably more than many other emerging market economies) and yet preforms dismally in international comparisons” (Holborn, 2013)2. With all of this government funding, it is not likely that the problem lies in the country’s financial support of education. If the problem with education in South Africa is not financial, the possibility of the problem being centered on teaching seems more likely. In the words of Gugulethu Xhala, a former student from a village in South Africa’s Eastern Cape called Matatiele, “Teachers sometimes just talk about whatever, nothing to do with education. They are not being monitored to make sure they are doing a good job.”2 A lack of teacher oversight is present throughout South Africa. There is no criteria for teachers to follow which leads them to teach, or not teach, whatever they see fit. Researchers found that, “Course content differed dramatically, with three of the universities failing to provide subject knowledge of English even though teachers with weak English proficiency will eventually use the language as a medium of instruction” (City Press, 2014)3. Because of the low entrance requirements that teachers have, they may not even be qualified to teach, yet still get teaching positions. The regulations on selected teachers needs to vastly improve, and there needs to be a criteria that is set for all schools so that they may grow in student education. How Will Basic Education Help African Nations Grow? Why does this all matter? 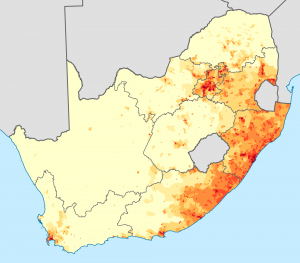 Why is basic education such an important factor for the growth of South Africa? By giving children the necessary basic education, they will have the tools needed to continue on to either attend a university or get a good, well paying, job. The issue with so many of South Africa’s student population is that they drop out of school before receiving their basic senior certificate. Without this basic certificate, job opportunities decrease, especially those that pay well enough to support an individual and/or a family. A well educated society is necessary for a country to grow. By increasing the level of education, the safety of South Africa — because of financial security — will also increase. The lack of quality teaching that is seen throughout South Africa demonstrates what could happen when there is no common core in a country. Here in the United States, the issue of having a Common Core is disputed. Some people say that there should be a common curriculum throughout the entire country for students, and some disagree. In South Africa, we see what happens when there is no common curriculum or standards. Lacking some common requirements in education causes students to suffer and gives an unfair advantage to those with teachers who care and are qualified. An educated country is essential for financial stability . Through business, communication, politics, and all form of interactions, if all citizens receive the same education requirements, stability and success are more likely. Having an educated population would allow an increase in equality and prosperity. By providing good and equal education for all, not only would South Africa’s workforce grow, but also the safety of the country would increase — including the safety of the countries that surround it. To conclude, “Basic education should be seen as a primary driver of transformation in South Africa” (DeVos, 2015)4. Picture yourself as a student. All of the things you had to learn the past years all started since you were a child. Your parents and your preschool teacher taught you all of the soft skills you know today. Those soft skills could include responsibility, using strong communications skills, and problem solving strategies. Each and every soft skill you learned has helped you one time or another. These soft skills are important for a child’s educational future. What are Africans doing to help increase early childhood education enrollment in sub- Saharan Africa? Having parent involvement in a child’s early education is crucial. Parent involvement is one important thing that is missing in sub- Saharan Africa, that could help improve the enrollment of children in school. Early childhood education is defined as happening before the age of eight, when a child will go through a rapid development of growth. 1 Having the parents educated gives a child more confidence. Parents being involved in their child’s education is very important. Parent and teacher communication is crucial, because parents need to know what is happening in the classroom. Whether their child is striving to do their best or having a difficult time keeping up with the lesson needs to be communicated between teacher and parent. This way parents and teachers can talk about how they can help a child not to struggle, or if they need to be challenged more. 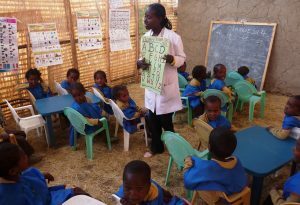 Early Childhood Teacher effectively engages with her students in Ziway, Ethopia. The most important thing for education is to have highly qualified teachers. We rely on these people to teach children accurately and be able to help them if they are struggling. In sub- Saharan Africa, they are struggling to find enough qualified teachers to educate children. “The educational system needs to find quality teachers, who will specifically specialize in early childhood education.” 2Teachers need to get a proper education and receive a certificate or a degree in early childhood education. “There should be four essential components supporting teacher effectiveness: decent conditions of employment, which includes appropriate contracts and salaries, and prospects for career progression and promotion; good conditions in the work environment with high-quality pre-and in-service training for teachers; and effective management, including teacher recruitment and deployment.” 3 Giving teachers fair salaries and benefits will increase the amount of people wanting to go into teaching. Education is important, but having a school with quality teachers and adequate facilities needs funding. Having proper funding for schools will help increase enrollment, and children will be able to get the proper education to help them strive throughout their life. The United States is also struggling with funding for schools. “The average cost of the center-based care in the United States compromises nearly thirty percent of the median family income.” 4 Being able to support children who have disabilities and need more help, will increase with time. School supplies, clean facilities, and a playground for young children are important, and funding from the government is crucial for children to succeed. Multiple governments in Sub Saharan Africa are not having enough funding for teachers, they are trying to do as much as possible. The State of Education in Africa had a conference in 2015 to see what they could do to help solve these problems in sub- Saharan Africa. They are making an effort to help get education for children and to make sure that they have proper facilities and a quality education. The United States struggles as well as sub- Saharan Africa, and could use the financial support. 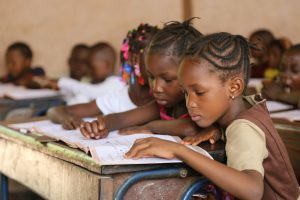 Sub- Saharan Africa isn’t the only region who is struggling with early childhood education, but they are making an attempt to make a change for the better. 1. Early Childhood Education. (2018). The National Association for the Education of Young Children. Retrieved from https://teach.com/become/where-can-i-teach/grade-levels/early-childhood/. 2. Howell, M. (2015). Early Childhood Education: Helping the most at-risk succeed. The Africa- America Institute. Retrieved from http://www.aaionline.org/wp-content/uploads/2013/03/AAI-SOE-Outcomes-Report-2015-final.pdf. 3. Sub-Saharan Africa need new and qualified teachers. (2017).United Nations Educational, Scientific and Cultural Organization. Retrieved from http://www.unesco.org/new/en/dakar/about-this-office/single-view/news/sub_saharan_africa_need_new_and_qualified_teachers/. 4. Early Learning in the United States:2017. (2017). Center for American Progress. Retrieved from https://www.americanprogress.org/issues/early-childhood/reports/2017/07/20/436169/early-learning-united-states-2017/. Image of a young wife with baby. The idea of girls as young as 10 being sent off to become wives may seem hard to believe, but in certain parts of Africa [such as sub-Saharan Africa’s rural patriarchies] the marrying off of daughters at very young ages is common practice that is thought of as normal in some cultural groups.1 Such was the case for a shy 11 year old girl named Mwaka, who was sent to become a second wife to a man who was three decades her senior. Why does this happen? Poverty is most often the ruling cause. In Mwaka’s case, her father traded her for 2,000 kwacha (about $16) to feed his family. Thankfully though for Mwaka, her father paid back the 2,000 kwacha and brought her back home after hearing the police could come and arrest him. However, such positive outcomes are not common for many other young wives in these regions of Africa. Mary, for example, married when she was only 14, was later severely beaten and stabbed by her husband for talking to another boy.2 He accused her of adultery and took her to the police who then caned her as punishment. In a country that struggles with poverty, “girls are often seen as economic assets…” and this type of treatment is sometimes considered customary and supported by religious beliefs. Although some laws have been put into place to try and protect these young girls, due to corruption “girls can find little recourse from the justice system…2” Perpetrators pay off magistrates to have cases adjourned indefinitely or continually postponed until the victims become discouraged and stop showing up to court. Religious leaders also use their beliefs to resist these laws and their enforcement. One woman described how her religion in Zimbabwe taught that “…girls must marry when they are between 12 and 16 years old to make sure they do not sin by having sexual relations outside of marriage.” Raising awareness about these issues of abuse and discrimination empowers these young women with knowledge through education. This in turn will provide them with opportunities to contribute to society and provide for their families. According to an article in the PRB (Population Reference Bureau), low education, high fertility, and poverty that results from child marriage just reinforces this vicious cycle of early marriage. 3 “Education is the most important factor influencing the age of marriage for women.” Parents can be shown the importance of encouraging their daughters to stay in school and resist the influence and attitudes of those who condone early marriage. Also, offering incentives to families who are struggling financially, such as scholarships and subsidizing the cost of education, can help these families with limited financial resources. For those who are already married, efforts to ensure these young girls stay in school could also be a vital resource to these young women. Providing them the right to full education, knowledge on the dangers of early motherhood, access to reproductive health care, programs to improve their life skills, and services for victims of domestic violence, will help to empower these young women so that they can better their own lives. So is child marriage and lack of education for girls just a problem in Africa? According to an article in The Guardian, “130 million girls globally are out of school and 15 million girls of primary school age will never even encounter a classroom”. 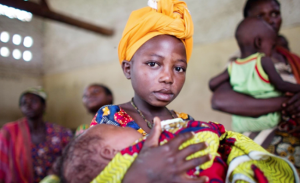 4 “Every year 15 million girls under the age of 18 are married.” Just as in Africa, poverty plays a huge role in child marriage globally as well. Parents who cannot afford to send their children to school are left feeling that marriage is the best alternative option. If you look around in even your local area, you may see this unfortunate trend of girls who come from poor backgrounds dropping out of school, getting married and having children at young ages. We can use the information we have learned about child marriage in Africa, including its causes and solutions, to better educate and empower women worldwide . 3. Roudi-Fahimi, F. (2010, April). Child Marriage in the Middle East and North Africa. PBR. From Ghana to Mozambique, students are struggling due to the scarcity of textbooks.1 This unavailability is greatly contributing to the illiteracy of many young African students across sub-Saharan Africa; it is a problem best understood through the explanation of the current situation, how it was caused, and the role textbooks can potentially play in the classroom. Take a minute to reflect your time spent in school classrooms or just obtaining information from others in general. Whether you enjoy it or not, you have learned something. Chances are that you have spent a large majority of your life furthering your education. Could you imagine this luxury taken away from you? Can you imagine waking up without a resource for learning? As a teenage American girl who has attended school for the past ten plus years, I couldn’t comprehend what it would be like without schooling. “Across Africa, 28 million girls between the ages of 6-15 are not in school and many will never even set foot in a classroom.”1 Everyday, there are girls being forced to give up their right to an education due to the effects of poverty. Mothers’ Associations speak out to keep girls in school. A couple of girls in Mali sharing a desk and textbook due to the lack of resources within the classroom. Not only does the exterior environment and culture play a large part in this issue. The individual classrooms, resources, and even necessities are in poor condition. On average, there are 50 kids within a room. In addition to the large amount of students, there is a major demand for more teachers who are qualified for the positions. Students are asked to share materials like books and papers. Most schools are buildings without toilet facilities, drinkable water, or even electricity. The different disadvantages within the African school systems are more than just background issues, it is the availability and conditions we have to consider as well. “Africa has the world’s lowest secondary school enrollment rates.”4 Several of Africa’s children that are out of school are either living in conflict zones, in camps for displaced people in their home country, or living as refugees. It’s good to note how much the school is actually teaching the students, although there is a higher percentage than not of women able to experience this benefit. In South Africa, “One-third of children fall below the learning threshold… predominantly low-income black and mixed race children.”4 Half of the students in fifth grade classrooms are unable to perform basic literacy and numeracy tasks. The school systems in Africa are affected by the social and economic environments. 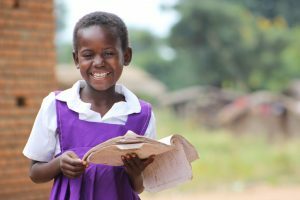 Zalimba Village, student showing her excitement when holding school reading materials. Women are seen as powerful and inspiring throughout many different countries. No matter where or when, children will look up to the women in their lives and see a strong and independent person. The things that make these women even stronger is their intelligence. Without an education or form of gaining knowledge, their confidence drops and they lose hope. Gender roles and household poverty force the girls out of school and into their home employment rather than expanding their knowledge. No matter how we as Americans determine the need throughout African schools, there will always be a new and upcoming situation that needs to be established. Several Boko Haram insurgents displaying their flag, and militant ambitions. 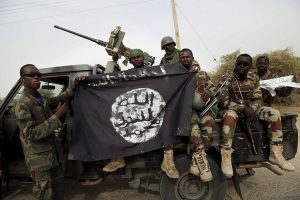 For nearly a decade, Sub-saharan terrorist group, Boko Haram, which means “Western education is forbidden,” has unleashed terror on the people of Northern Nigeria, killing thousands, in a pursuit to eradicate Western influence.1 The group started their insurgency in 2009, attacking military bases, educational facilities, churches, mosques, banks, and other facilities or places that they deemed as ‘Western’. Despite several attempts, the Nigerian Government has been unsuccessful in ending Boko Haram’s bloody insurgency. With sufficient resources, radical ambition, and a deceptive yet mighty presence, Boko Haram is waging war on Nigeria, and Western influence; killing and displacing thousands of innocent men, women, and children in the process. 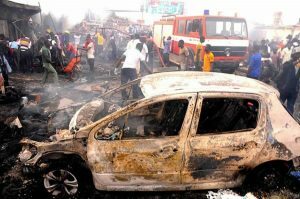 In the past several years, Boko Haram has experimented with new ways to instill terror on Nigeria. They have resorted mainly to lootings, bombings, kidnappings, and shootings. However, their latest and most relevant method of inflicting terror has been abducting and forcefully using children to carry out acts of violence. According to UNICEF, In the last several years, thousands of children have disappeared as a result of Boko Haram’s growing attacks in Nigeria and neighboring countries.2 These abducted children, endure abuse, depravity, and separation from their homes and families. “In just one year,  the number of displaced children increased by over 60 percent, from 800,000 to 1.3 million children.” These children have witnessed and endured sexual misconduct, the destruction of their homes and schools, and the involuntary task of carrying out mass shootings and suicide bombings. In only a few short years, Boko Haram’s war on Western influence has progressively turned into a war on children. The aftermath of a Boko Haram suicide bombing in Nigeria. Boko Haram uses these children in several ways; young boys are used as fighters and are forced to attack their own villages and families, while girls are forced to endure sexual and physical abuse, including involuntary marriage to fighters. Many girls are also used to carry out suicide bombings.2 Although Boko Haram captures and exploits both girls and boys, young girls are their primary target. Boko Haram targets these young girls because they are vulnerable, easy to capture, and can be exploited sexually too.3 In only a few years, hundreds of girls have been abducted, forced into sexual slavery, or forced to carry out suicide bomb missions, with little to no chance of escape or survival. In Northern Nigeria alone, Boko Haram has carried out hundreds of terror attacks with the forcible usage of over 135 children as suicide bombers. As a result of Boko Haram’s insurgency, thousands have died and millions of people have been forced to abandon their beloved homes. Boko Haram’s war on Western influence has transitioned into a war on children, especially girls, which has resulted in thousands of fatalities.3 Through violence, terror, and the usage of children, Boko Haram has struck fear into the heart of Nigeria, stopping at nothing, to eradicate Western influence, with seemingly no remorse towards their actions that are destroying life and opportunity in Nigeria. As the general population, we need to be aware of Boko Haram’s war on children, spreading awareness, and working together to bring an end to Boko Haram’s bloody, child exploiting insurgency, that is damaging opportunity in Nigeria. Imagine yourself in a classroom. Now take away the chairs, take away the desks, take away the electricity. Many schools in Kenya are without these basic prerequisite tools needed to learn; however, there are some schools in Kenya that do have access to these tools. The question is, does the government keep trying to put desks into classrooms or do they need to advance their schools and put more computers into classrooms. If Kenya was able to get help from another country these problems would be a lot easier to eliminate. So why don’t Americans help? We take so many things for granted here, and could easily help provide school supplies to these Kenyan public schools, which would take away a big portion of the problem. Why try and get computers in schools when there are still places that don’t have desks? It seems like a simple answer: focus on putting desks into classrooms and then, once that is finished, focus on putting computers into classrooms. It’s not that simple. According to Sarah Noyta, “The world out there is moving fast and we cannot as a country afford to remain behind in terms of technology,” 1. Kenya is falling behind, their education system lacks to help students to become fully educated. Many kids are in schools, but they aren’t learning, and adding desks isn’t going to magically change the problem. The addition of computers in classrooms is a hopeful movement to allow students to become better prepared for the technology they would see throughout the world. According to John Burnett 2., Kenya has reduce the fees at their public schools to try and make their education available for all kids, and in some ways it has been a success. But it has also created a shortage in many of prerequisite things needed for schools to educate their students. There has been a great absence of teachers, books, desks, and many other tools. 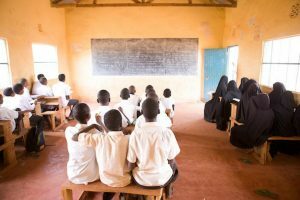 Kenya’s goal hasn’t quite worked out the way they wanted it to; even though it has allowed many kids to go to school that once never had the opportunity to, they still struggle to have a unified primary education for all schools. The conditions that some kids have to learn in are in very poor shape. Emmanuel Igunza 1 states, “At school, [kids sit] on the dusty floor with [their] 90 classmates, using torn cardboard boxes and worn out sacks as mats.” How would you be able to learn? In America we like to complain about school lunches or how hard a test is, and they are so oblivious to the healthy habitat we are surrounded by. These kids in Kenya need hope, and we can give that to them. If you sent just one item to a Kenya public school it could do a great deal to help out. I don’t think that I have ever been in a classroom that is without the basic needed school supplies. In fact in many of my classes there has been an excess amount of supplies laying around in the classrooms that never even get touched. Why not send these? In many Kenyan schools multiply kids have to share school supplies. Multiply kids have to share desks, and that’s if they even have desks. If we helped Kenya with their desk problem, the government there would have a much easier time focusing on the computer shortage. There are so many problems that Kenya faces when trying to put computers into their primary schools. Besides the obvious lack of computers and electricity there are many teachers that aren’t qualified to teach kids how to use computers. “There are more students willing to be taught computing skills than there are teaches to transfer the skills,” 3. There is a great hope in Kenya to improve kids education with technology, but Kenyan schools cannot meet this demand to teach computer skills. Someone needs to step up and help. If you feel like you could help out with this ongoing problem, why not help out? Most Americans take cell phones for granted. Over 77% of the population own iPhones, Android phones, or other smartphone devices, to constantly browse social media, shop on Amazon, or text their friends. Americans rely on their phones in their daily lives, with young adults checking their smartphones on average 74 times a day.1 In Kenya, however, the basic cell phone is changing lives. Old cell phones similar to the Nokia 3310, a memorable cell phone in the States, are increasingly being used to improve agriculture and provide more access to information than was ever possible before. The number of cell phones in Kenya has grown substantially in the past 15 years. Between 2002 and 2006, the number of cell phones owned increased tenfold, from one million to ten million.2 Multinational telecommunication companies quickly saw an opportunity for business, and began erecting towers across Kenya, changing the lifestyle of the average Kenyan. The phones tend to be very basic- no touch screens, no Candy Crush Saga, and no cameras. However, these simple devices improve the quality of life every day. How Has The Technology Become Useful? In America, if an animal in a farmer’s livestock becomes sick or pregnant, farmers tend to give them special care themselves. If they need more help, they have relatively easy access to veterinarian assistance. In Kenya, however, farmers often lack both the knowledge required to treat a sick animal and access to veterinarians who can provide special treatment. 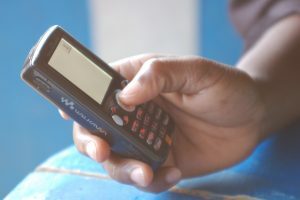 Over 80% of the Kenyan population are farmers, with the majority of them lacking skills and knowledge compared to American farmers, making access to the knowledge and skill always in high demand.3 ICow is a cell phone app that has given Kenyan farmers a chance to properly raise and care for cattle and crops. ICow allows farmers to have such knowledge in the palm of their hands, as well as immediate access to expert veterinarians to assist them when needed.4 Other important tools iCow offers to farmers include prices of cattle on demand, to assure they get a fair deal on selling their livestock, secure fund transferring, and feeding schedules for each animal. Each farmer is sent three texts a week, usually relating to animal care, or tips to improve their work. What Benefits Can Be Obtained? There are numerous benefits that farmers have noticed within months of using the app. Some of the benefits include increased milk production, lower calf mortality rates, reduced veterinary costs, and healthier animals.5 Over the next several years, the developers of iCow hope to reach past the small number of 42,000 farmers that currently use the app. Access to information with technology through apps like iCow will continue to improve quality of life in Kenya, and eventually all of Africa. On a global scale, what is the most important human rights issue that females face today? Currently the focus is on the #MeToo Movement that was embraced by Hollywood and has spread across the world with the help of social media. In an article for National Public Radio, 1 Chappell stated that #MeToo campaign has “created a wave of awareness and brave confrontations over sexual harassment and assault, taking down powerful men in the process.” Chappell went on to say that the #MeToo Movement was named Time magazine’s 2017 person of the year. One could conclude, the answer to the question is that, sexual assault and harassment is the most important human rights issue women face today. However, there is another human rights violation girls and women face globally, one that is not often talked about through social media. 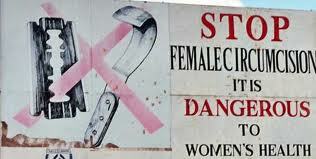 Female genital mutilation, is a harmful violation to females; the solution can only be found through education. According to the World Health Organization, 2 every year, 3 million girls are at risk of having their exterior genitalia cut off and sewn shut, leaving a small hole for urination. This extreme cutting is referred to as female genital mutilation, commonly called FGM. Young women and girls all over the world are at risk of having to undergo FGM. In a UNICEF press release,3 Sharpe stated that globally 200 million girls and women have undergone female genital mutilation. Some of the highest numbers of FGM are in African Nations. 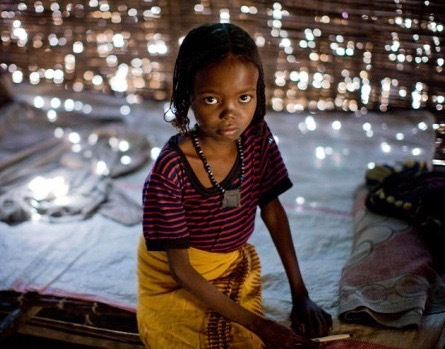 In Somalia 98% of girls and women ages 15 to 49 are mutilated, and 97% in Guinea. Experts have agreed that there is no medical or health related reason for conducting female genital mutilation. So why does female genital mutilation exist? The World Health Organization has found that people who encourage the use of FGM do so as tradition and culture. They are cut for cleanliness and in preparation for marriage. In an article for Thomson Reuters Foundation, 4 Batha reported that female genital mutilation is used to control sexuality; this practice is done for religion, tradition, and hygiene. She also stated that many believe that mutilation purifies the girl and uncut girls may face exile. 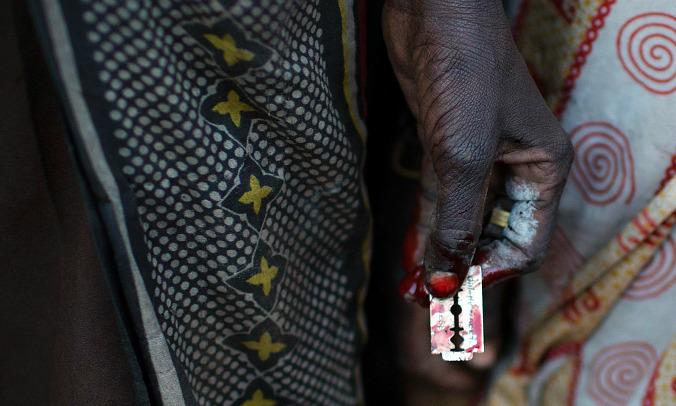 Female genital mutilation is done by the traditional cutter in the village. The procedure is done usually with a sharp razor. According to Batha, “razor blades to scissors, broken glass, tin can lids or ceremonial knives” are used for cutting. The pain and suffering of female genital mutilation does not end there. On a girls wedding night, she must be cut back open, and more cutting is necessary for childbirth. Batha goes on to say FGM, “causes severe bleeding, pain, shock, recurrent urinary tract infections, cysts, and infertility.” Mutilation can also cause risks during labor such as complications and newborn deaths. Women who have suffered female genital mutilation are fighting back. 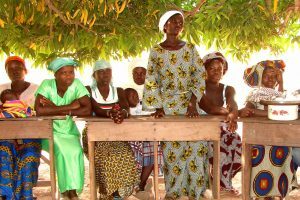 These women have turned to education as their tool to end FGM. The ICRW, 5 reports that after two surveys teachers conducted regarding FGM, a student that has been mutilated, typically ends their education [before age 15]. The ICRW goes on to say that medical complications from the cutting have been the primary reason that a girl drops out of her education. There are programs created to help survivors of the cutting become educated on this practice so that their future daughters will not have to undergo the horrific procedure they once did. Safe Hands for Girls is an organization founded by a female genital mutilation survivor, Jaha Dukureh 6 Her goal is to have FGM abandoned in Africa by 2030. Her programs in Africa include visiting schools, and giving public lectures to help educate the people on FGM. Safe Hands was founded to, “create awareness of female genital mutilation and other forms of violence against women through education.” Dukureh hopes to provide knowledge and skills to these young women and help the victims build self-esteem. Female genital mutilation is a practice that has caused millions of girls and young women to be forced to undergo the trauma of having their genitalia cut off. It is extremely important to reach the people who encourage the practice of FGM and educate them on the danger of this procedure. UNFPA 7 states that high prevalence FGM countries have excessive numbers of maternal death on a global scale and have a higher risk of HIV transmission. Given these points, the world needs to become aware of FGM. With this in mind, the #MeToo Movement used social media as an educational tool to spread awareness for sexual assault against women worldwide. Similar educational tools can be used to help spread the truth about female genital mutilation. This awareness would provide girls and women with an alternative to traditional roles as females and give them the chance to further their education in school. Therefore, anticipating that someday the future will be free from FGM for generations to come. 1 Chappell, B. (2017, December 6). #MeToo movement is person of the year, ‘Time’ says. 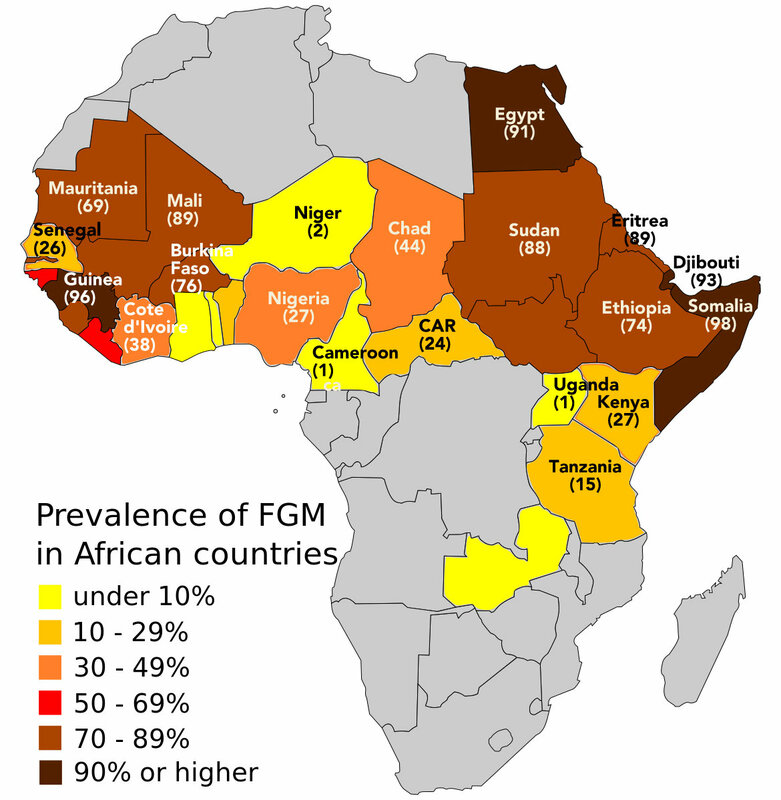 2 Female genital mutilation (2018, January). World Health Organization.